Here’s another short film from Adam Riemann, the guy who rode 7,000 kms through seven countries on a KTM 500EXC. In this video he hails the glories of the 2-stroke in the the form of the KTM 300EXC. 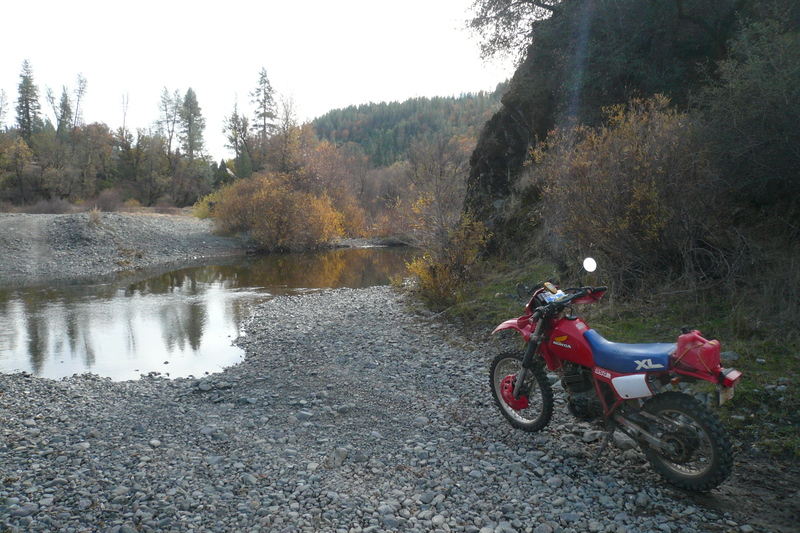 It’s amazing how quickly covers rugged terrain on this bike. He goes over boulders and through streams like it’s a ride in the park. And some of the jump footage is just spectacular. Rice Fork, flooded last March, was crossable in November. If you look closely (or click on this photo) you’ll see my spare gas can lying on this rutted section of Forest Road M3. These were typical road conditions for the first 10 to 15 miles. 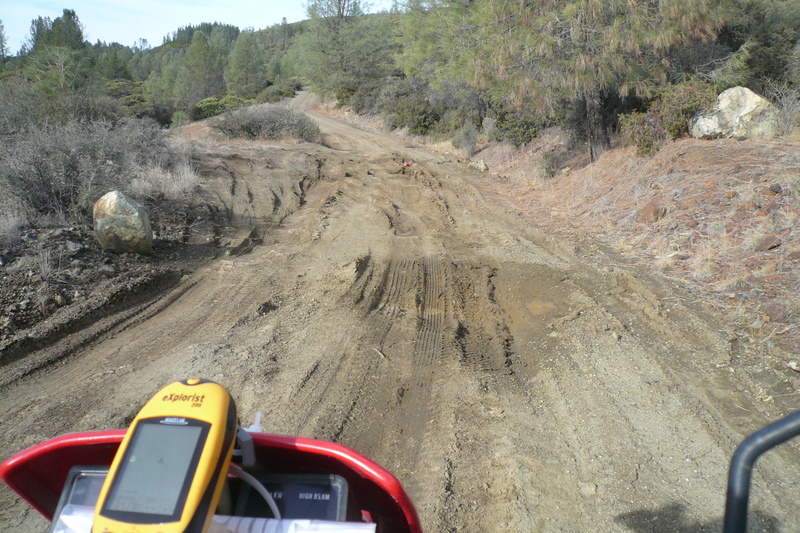 Click here for a downloadable .gpx file of this trip for your GPS device. In mid-November I went to the Mendocino National Forest, north of Clear Lake, solo, to see if I could circumnavigate the Snow Mountain Wilderness. I tried to do it back in March in the Montero but the snow melt-swollen rivers were too deep to cross. This time I brought a dirt bike. I didn’t think I’d be able to cover the estimated 60 or 70 miles in the truck, at least not in a day—10 mph is about average on rough roads. I figured I could easily double that on the bike. I got up early, was in the woods, and on the bike by noon. Within a few minutes I had crossed Parramore Creek Rice Fork (the one that had held me back in spring) without a problem. OK—I stalled the bike mid-stream and had to dunk a boot in the water to keep from falling over, but basically no problem. From there my wet right foot and I headed north on forest road M3—see map below—and things got a little more serious. At one point, after slamming through a deep puddle in an especially rutted section of road, I stopped and thought, “Should I take a picture of that for the blog?” I decided yes and headed back. There in puddle lay my spare gas can. Sheesh. After an hour of bouncing two wheels over mangled dirt, I had covered only 11 miles, about as much as I could have covered on four. I doubted whether I’d make it round the whole loop. That morning though, much like a 17th-century captain hoisting the flag of his patron saint, or an Indian taxi driver with dashboard shrine to Ganesh, I had attached a photo of Archangel Michael to my handlebars, well, a photo of a statue anyway. It helped. Despite my fear of heading alone into the wilderness, I felt a certain solidity in the journey and pressed on.